If you need a fast and easy way to make a payment on RealEscort you can buy a SpendOn credit card. 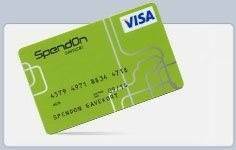 SpendOn offer a credit card solution you can buy at a local REMA 1000 Norway store near you. It's called a Pre-paid credit card, or Gift Card. You can use it like a normal credit card in local shops on the internet, and on RealEscort.